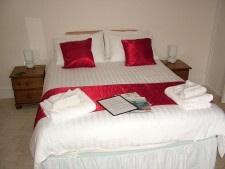 Room 1 is a twin, situated on the ground floor with views of Ben More and the Loch Scridain. The room has a large walk in shower. 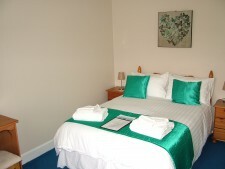 The tariff is £120 per night for stays of 2 or more nights. Room 2 is a large double situated on the ground floor with Veiws of Ben More and Loch Scridain. This room has a lovely bath with shower over. The tariff is £120 per night for stays of 2 or more nights. 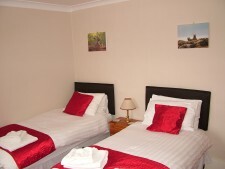 Room 3 is a large double situated on the first floor with views of Ben More. This room has a shower. 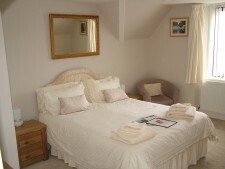 The tariff is £120 per night for stays of 2 or more nights. Room 4 is a larger double overlooking the rear garden. The room has an ensuite bathroom but no shower. 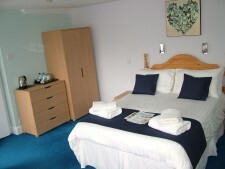 The tariff is £120 per night for stays of 2 or more nights. Room 5 is a large double overlooking the front of the hotel with great views of Loch Scridain. The room has an ensuite shower. The tariff is £120 per night for stays of 2 or more nights. 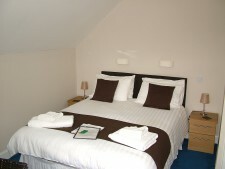 Room 6 is a large double overlooking the front of the hotel with great views of Loch Scridain. The room has an ensuite bathroom but no shower. The tariff is £120 per night for stays of 2 or more nights..
Hotel Bookings:- If you cancel within 14 days of your intended arrival, you will be liable for the full cost of the booking if we are unable to re-let the room. If you cancel more than 14 days before your intended arrival, you will be liable for the cost of the first night's accommodation. In all cases the room(s) will be re-advertised and every effort will be made to re-let the room(s).